Who's that hopping around the house?? 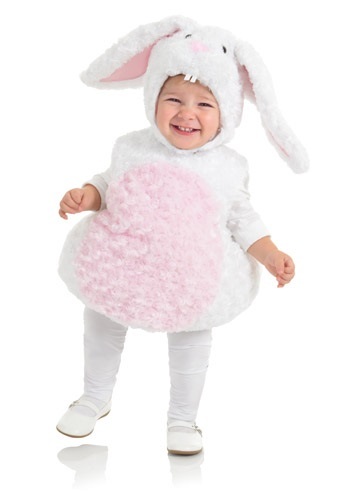 At first glance, it may seem like a big cuddly bunny rabbit is bouncing about, but if you take a closer look, you'll see it's actually your little toddler playing in this adorable Rabbit Costume. That would explain why that bunny looks like it's having so much fun! You never know when a situation may arise that would be made even better with a cute little bunny around, so this fuzzy costume could come in handy at any time! It could easily turn your little one's outside playtime into an adorable summertime photo opportunity, especially if they are bouncing around near a garden full of flowers and veggies. Or, on a chilly night, they'll probably want to cuddle up with you in this cozy outfit. They always like being your snuggle buddy, but being a little “snuggle bunny” is even better. And the best part about this costume is that it's your little kiddo is under all that cute fur! The soft one piece tunic features elastic around the base, so it fits your little tyke comfortably, and there is plenty of fiberfill built into it to give them a plump bunny look. The matching floppy ear hood has eyes and a little nose sewn on it, and adorable bunny teeth to go with your toddler's smile. 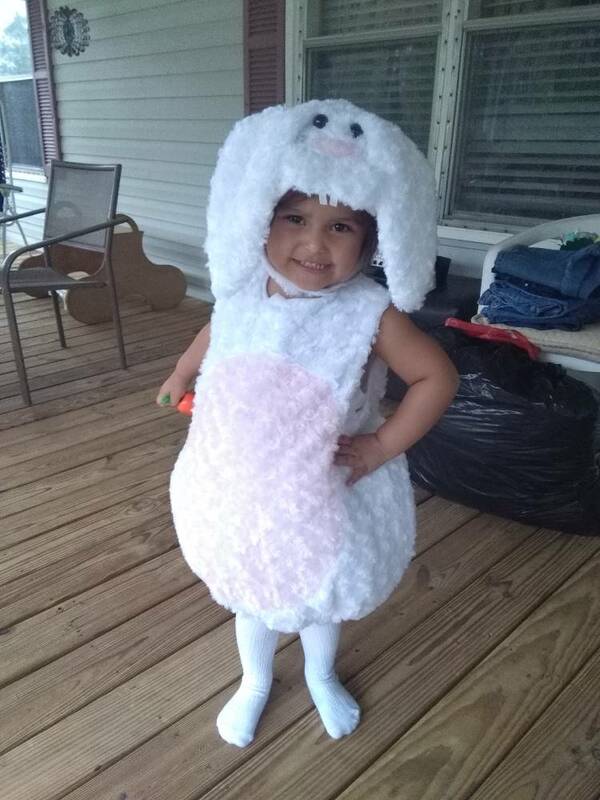 Keep an eye on your carrots when this little rabbit is bouncing around, or they might eat them all up! This is costume is adorable and true to size!! Size doesnt fit as it is supposed to!